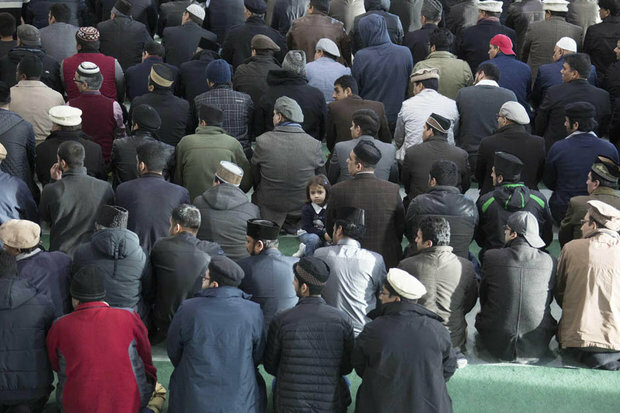 THREE thousand British Muslims prayed for victims of the Paris attacks yesterday at the UK’s biggest mosque. Leaders held a minute’s silence and called upon members to show their “utter abhorrence of the carnage” in France. 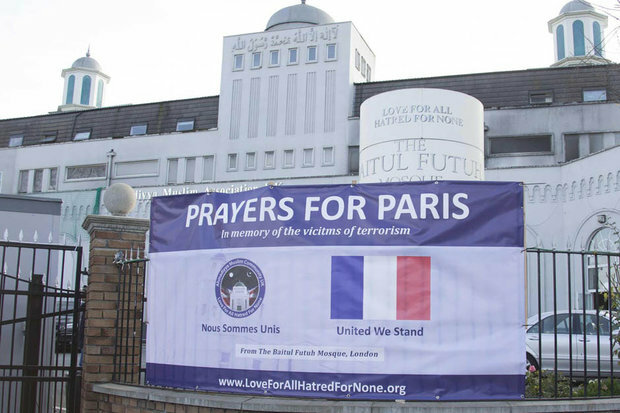 They also pleaded for peace and unity to help beat the terrorists, who they said had “defamed” Islam with the outrage, which killed 130 people.Local MP Paul Scully joined religious, council and police leaders for the tribute at the Baitul Futuh mosque, in Morden, south London.Members – who belong to the Ahmadiyya branch of Islam – heard an hourlong message of peace from their world leader. His Holiness Hazrat Mirza Masroor Ahmad said: “I express my heartfelt sympathies to the French nation following the heinous terrorist attacks. Share the post "We’re Brits and Muslims and proud: Thousands pray for Paris victims"